High purity (99.995%) Magnesium rods. 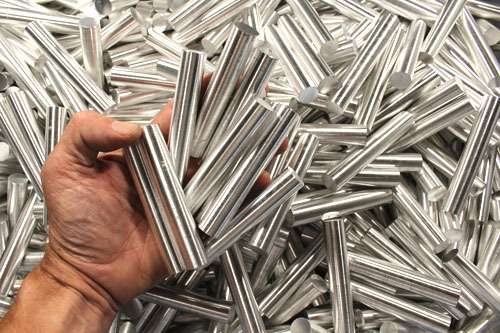 The rods measure 3-11/16" (93 mm) long x 5/8" (16 mm) diameter. Lots of potential uses. Very popular for camping & survival applications. Scraping off small pieces with a knife produces highly flammable (and hot burning) Magnesium shavings for starting fires. 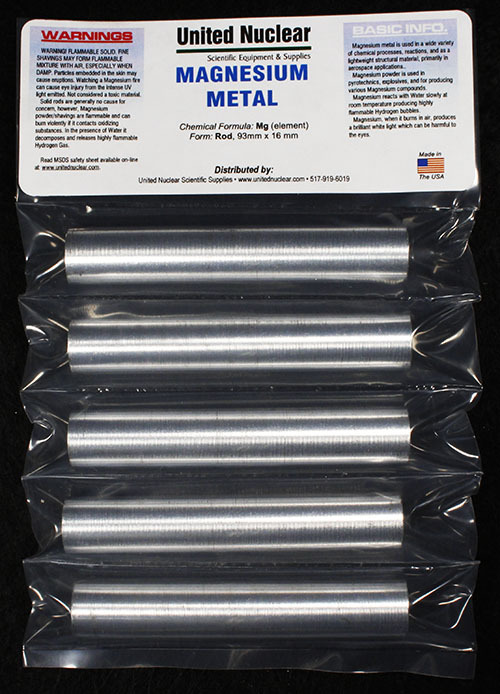 Rods come in a sealed package of 5 rods.